Alfadog training and boarding center is situated on the outskirts of Temerin city, in a pleasant ambiance away from the daily hustle of the urban centre, yet only a 15 minutes drive from the center of Novi Sad. 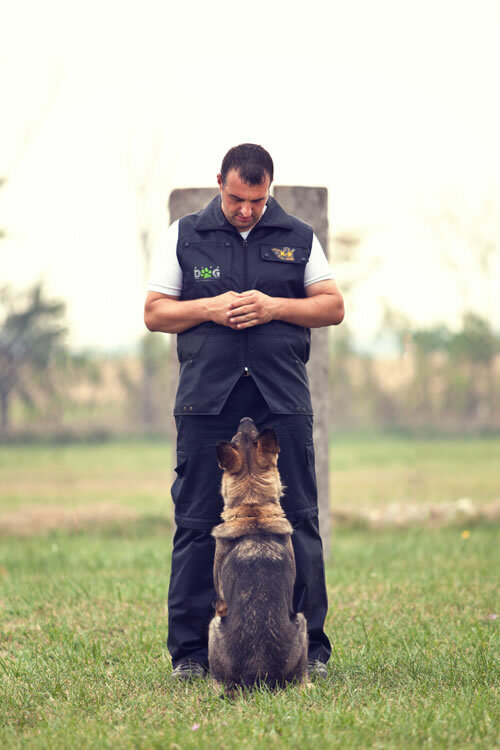 Just a step away from Vojvodina’s arable landscape you can find our training grounds and accommodation facilities built to meet the most stringent of European standards, and with all the free space that surrounds us, your dog will have the pleasure of undisturbed, stimulating and successful training. Alfadog Centre is a family business, and we take care of our pets with lots of attention and love, as do we treat the dogs entrusted to us, in order to provide them with all the necessary care and meet their needs in the best way. We use the most modern methods of training, including the method of positive stimulation without conflict, that strictly forbids the use of force. Apart from the dogs, owners also have the opportunity to learn basic skills necessary for a harmonious and fulfilling life with their pets.